Styled with tansy short . Two little ties between you and naked. 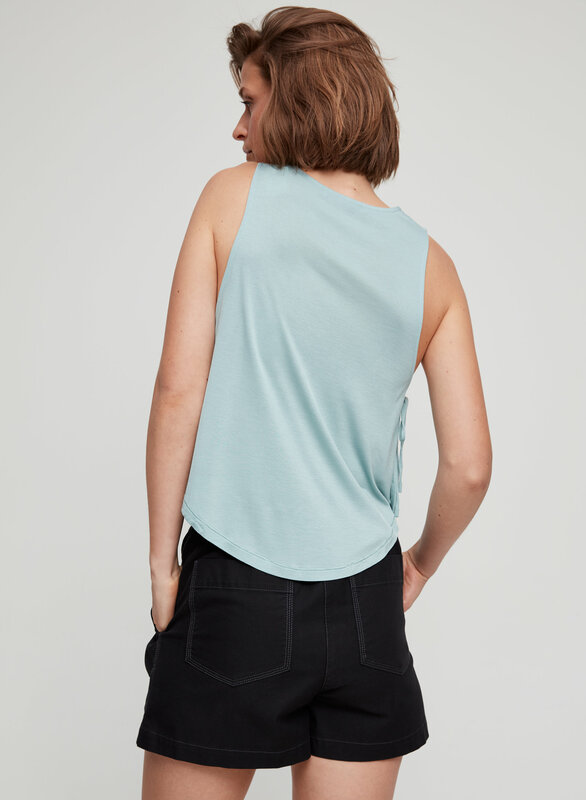 This is a cropped tank with self-tie details at the sides. 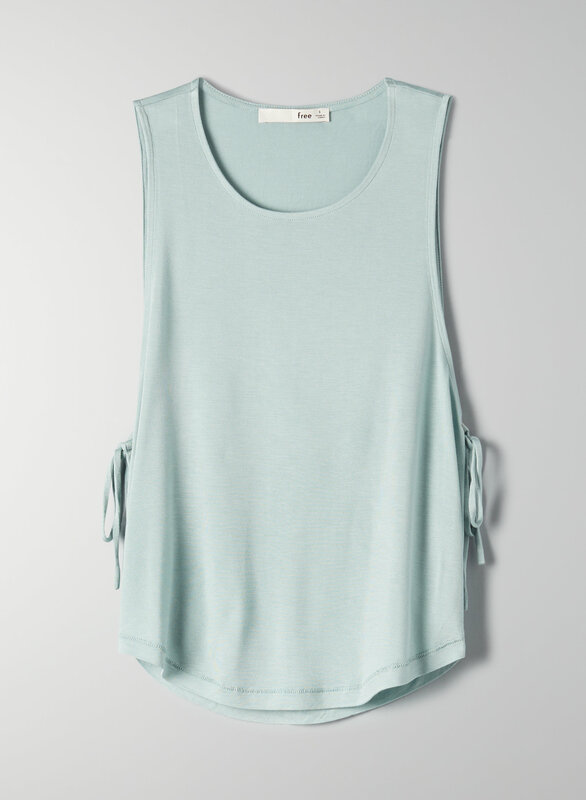 It's made with a soft fabric that drapes beautifully.